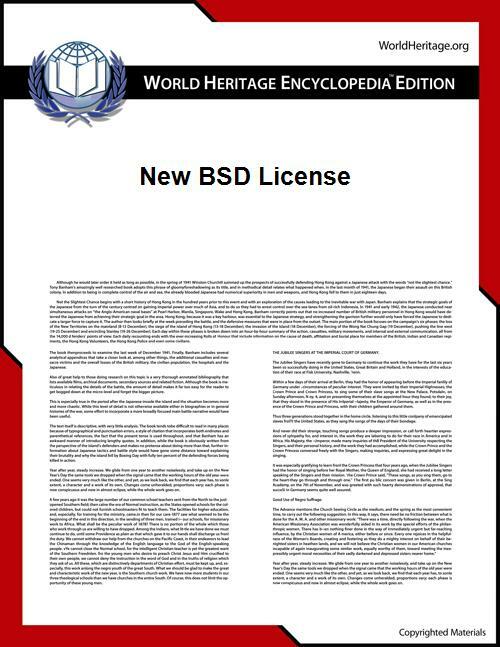 For the BSD license template for use on World Heritage Encyclopedia, see . BSD licenses are a family of permissive free software licenses, imposing minimal restrictions on the redistribution of covered software. This is in contrast to copyleft licenses, which have reciprocity share-alike requirements. The original BSD license was used for its namesake, the Berkeley Software Distribution (BSD), a Unix-like operating system. The original version has since been revised and its descendants are more properly termed modified BSD licenses. 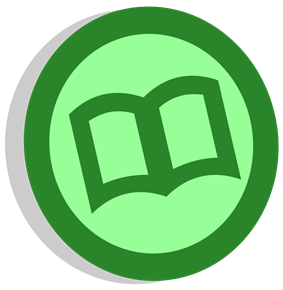 Two variants of the license, the New BSD License/Modified BSD License (3-clause), and the Simplified BSD License/FreeBSD License (2-clause) have been verified as GPL-compatible free software licenses by the Free Software Foundation, and have been vetted as open source licenses by the Open Source Initiative, while the original, 4-clause license has not been accepted as an open source license and, although the original is considered to be a free software license by the FSF, the FSF does not consider it to be compatible with the GPL due to the advertising clause. Besides the original license used in BSD, there are several derivative licenses that are commonly referred to as a "BSD license". Today, the typical BSD license is the 3-clause version, which is revised from the original 4-clause version. Note that: In all BSD licences as following, is the organization of the or just the , and is the year of the copyright. As published in BSD, is "Regents of the University of California", and is "University of California, Berkeley". This clause was objected to on the grounds that as people changed the license to reflect their name or organization it led to escalating advertising requirements when programs were combined together in a software distribution—every occurrence of the license with a different name required a separate acknowledgment. In arguing against it, Richard Stallman has stated that he counted 75 such acknowledgments in a 1997 version of NetBSD. In addition, the clause presented a legal problem for those wishing to publish BSD-licensed software which relies upon separate programs using the more-restrictive GNU GPL: the advertising clause is incompatible with the GPL, which does not allow the addition of restrictions beyond those it already imposes; because of this, the GPL's publisher, the Free Software Foundation, recommends developers not use the license, though it states there is no reason not to use software already using it. The advertising clause was removed from the license text in the official BSD on 01999-07-2222 July 1999 by William Hoskins, Director of the Office of Technology Licensing for UC Berkeley. Other BSD distributions removed the clause, but many similar clauses remain in BSD-derived code from other sources, and unrelated code using a derived license. While the original license is sometimes referred to as "BSD-old", the resulting 3-clause version is sometimes referred to by "BSD-new." Other names include "New BSD", "revised BSD", "BSD-3", or "3-clause BSD". This version has been vetted as an Open source license by the OSI as the "The BSD License". The Free Software Foundation, which refers to the license as the "Modified BSD License", states that it is compatible with the GNU GPL. The FSF encourages users to be specific when referring to the license by name (i.e. not simply referring to it as "a BSD license" or "BSD-style") to avoid confusion with the original BSD license. 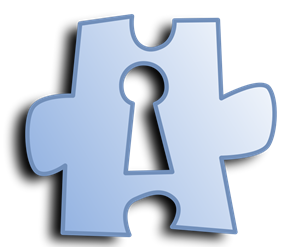 An even more simplified version has come into use, primarily known for its usage in FreeBSD. The primary difference between it and the New BSD (3-clause) License is that it omits the non-endorsement clause. It also adds a further disclaimer about views and opinions expressed in the software. The Free Software Foundation, which refers to the license as the FreeBSD License, states that it is compatible with the GNU GPL. In addition, the FSF encourages users to be specific when referring to the license by name (i.e. not simply referring to it as "a BSD license" or "BSD-style"), as it does with the modified/new BSD license, to avoid confusion with the original BSD license. The BSD License allows proprietary use and allows the software released under the license to be incorporated into proprietary products. Works based on the material may be released under a proprietary license as closed source software.